Apollo Bay is a coastal town in southwestern Victoria, Australia. Kick off your visit on the 19th (Tue): hike along Great Ocean Walk and then make a trip to Cape Otway Lightstation. 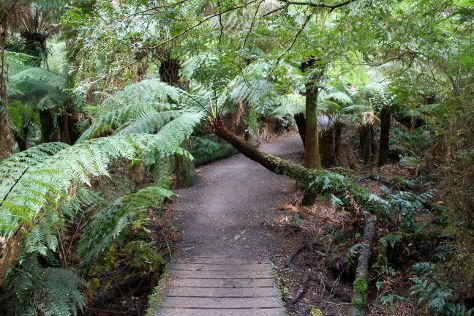 On the 20th (Wed), you'll have a packed day of sightseeing: make a trip to Teddy's Lookout, take in the dramatic scenery at Sheoak Falls, then get great views at Mariners Lookout, and finally delve into the lush surroundings at Mait's Rest. To find photos, more things to do, maps, and tourist information, read our Apollo Bay trip itinerary maker tool . Melbourne to Apollo Bay is an approximately 3-hour car ride. You can also do a combination of train and bus; or take a bus. Finish your sightseeing early on the 20th (Wed) so you can drive to Queenscliff. Queenscliff is a small town on the Bellarine Peninsula in southern Victoria, Australia, south of Swan Bay at the entrance to Port Phillip. Kick off your visit on the 21st (Thu): see the interesting displays at Fort Queenscliff Museum, enjoy the sand and surf at 13th Beach, and then enjoy the sand and surf at Point Lonsdale Beach. To see where to stay, reviews, ratings, and tourist information, read our Queenscliff visit planner . Getting from Apollo Bay to Queenscliff by car takes about 2.5 hours. Other options: take a bus; or do a combination of bus and train. In March, plan for daily highs up to 28°C, and evening lows to 15°C. Cap off your sightseeing on the 21st (Thu) early enough to go by car back home.